EDF Energy has appointed Grey Group executive managing director Tamara Ingram to its Stakeholder Advisory Panel, which helps shape the company's business strategy. Ingram was hired for her experience of the advertising industry, consumer marketing and digital and social media, according to EDF. 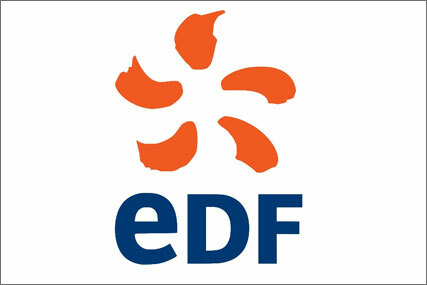 An EDF spokesman said the firm's relationships with its incumbent agencies will remain unchanged. EDF Energy uses AMV BBDO as its agency in the UK and works with Euro RSCG on a pan-European basis. Set up in 2006, the advisory panel meets with EDF’s senior executive on a quarterly basis in order to provide guidance on strategic issues ranging from retail market reform to the company’s nuclear building programme. The panel is chaired by Will Hutton, the former Observer editor, and includes BBC Trust chair Lord Patten and Sir Simon Robertson, chairman of Rolls Royce and vice chairman of HSBC. One of the major responsibilities of the panel is to help the company define its sustainability commitments. EDF Energy pushes sustainability messages hard in its marketing, having run an annual Green Britain Day marketing initiative since 2009. The energy firm has run high-profile television campaigns, created by Euro RSCG, in order to push Green Britain Day, which encourages consumers to be as sustainable as possible. EDF Energy chief executive Vincent de Rivaz said: "We have said for some time now, that openness and transparency has to be at the heart of everything we do in our nuclear and our retail business. "Tamara’s wide ranging experience of the advertising industry, consumer marketing and digital and social media will be a major asset in these areas and her experience in running successful international businesses will further bolster the wealth of business knowledge and insight we have"